Atheists continue to wonder why Christians will keep their faith in a magical ghost who lives somewhere in the sky. Day in, day out your own followers give them a reason to believe religion is all a scam. They say we, your cliques cannot see thorough thick and thin. They now hold strong evidence that prayers do not work. 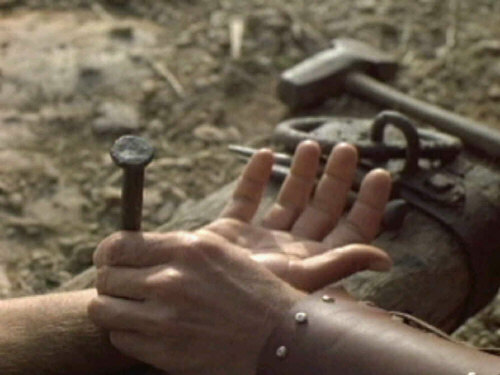 Sir, you screwed the principles of nature, you left a godly state, got down to earth on a significant mission, suffered the excruciating pain of a four-and-half inch iron nails being tacked into your hands and feet, you died so that men will live. But there’s more destruction now than you mopped off, thousand years ago. And it has reached a crescendo! I am tabling this matter because the church is your body and you are the head. It is written in Ephesians 1:22-23: ‘And God placed all things under his feet and appointed him to be head over everything for the church which is his body, the fullness of him who fills everything in every way’. Lord, the world under your footstool is imprisoned. Believers are locked up. Where the real prison is, is fascinating. It not fenced with barbed wires…not the kind of confinement some of your disciples found themselves. The real prison is not surrounded with guards. The church is the real penitentiary with the children of God entangled in. For disregard for rivalry, God dismissed the Devil from His presence. Lucifer came down to earth, carrying along real opposition that he planted in the church. You now have real competition here! We now have on our hands egomaniacal ‘Men of God’ who are giving you a big run for your omnipotence. They are seen as all-knowing, they are the most-powerful figures who do not slug in self-admiration. In sermons, little is said of salvation, purposeful Christian life, condemnation of sin, and you Jesus. In the past decades, a lot have changed here – down here on earth. It’s crazy. It is like telling someone their baby is ugly. They know it, you know it, everyone knows it. But you don’t talk about it. Miracle seekers have changed the face of your church. 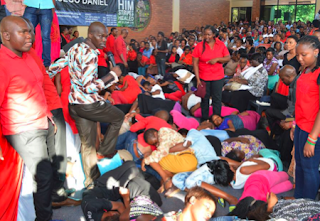 Desperation is dragging believers into searching for spiritual intervention and miracles. How hard it has become for your followers to go down on their knees to talk to you! So instead of turning to you in our dire times, they would rather throng the offices of the prophets. Your folks here no more seek God, your Father. They seek prayers. They say talking to you is like calling the Fire Service or ordering pizza – you never know, it could take forever! The days when people spoke to you for discernment and imbibed the Holy Spirit for help are slowly being replaced with the pursuit of God’s implied representatives. So the venture has become very much sought-after and is booming; attracting many to come in your name. You have been treated like a brand ambassador who attracts customers without any pay, commission, or allowances whatsoever. Until I became an adult I had always thought all the monies were sent to you someway, somehow. The places of worship take advantage of the broken and contrite hearts to reap big from them and they also frantically give in to the whims and caprices of these blood suckers. I wish I had a metaphor to explain that. 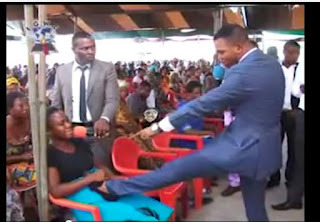 The assembly of believers you instituted is now pigeonholed into heartlessness, hypocrisy and manipulation, the shameless act of taking advantage of the vulnerable to live a luxurious life. They own the flashy cars, they wear the most expensive attires and show big wealth. They are the deceitful false prophets, teachers and agents of darkness you spoke about. By their fruits, it has become quite evident which of them are the ferocious wolves in sheep clothing. There’s no need to mention names – that only arms the opposition and we already have a lot to contend with. 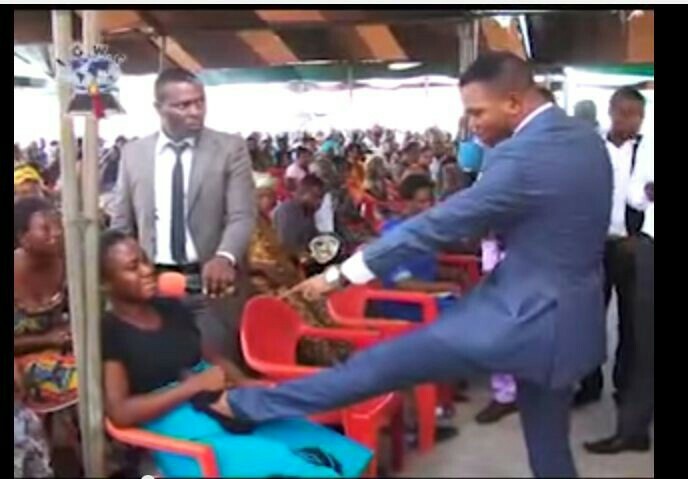 How disheartening and bizarre it must be for you at the sight of the broad day arm-twisting tactics the Pastor employs to dupe the already poverty-stricken woman! How much your heart will bleed in the face of such unpardonable rot and deception! When I say a lot have changed here, I really, really mean it. If you care to know, the so-called song ministers no more sing your praise; it’s more of a rock show nowadays. The dirty game of politics has seeped from the central government into among the elders (and presbyters). The young ones to sustain the church for tomorrow are so blunt that they can’t even cut through the future, and the women have left their cleavages and the church exposed. Thus we kind of have a lot of change here you will have to bear with. My fear is that by the time you return, the church will have a hard time recognising you – especially when your visit will be unannounced. They say, you said you will come like a thief! We may not notice you, because we do not know you. No offence Sir, but we haven’t seen you, we haven’t searched for you. We have been too busy making invitations to the Chairman for the end-of-year harvest. It’s been our plan to complete the church building soon. We’ve been busy with school and work too. We want you to be proud of us, and these projects mean a lot to us. 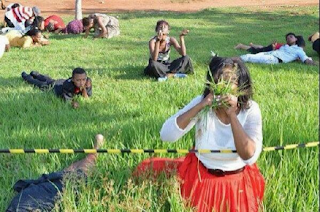 There are people out there who need to be cured, the economy is so sickening that financial breakthrough is a necessity for the children of God. 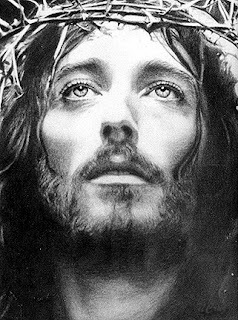 So darling Jesus, we heard little about you. We needed to take just some minutes of the sermon time for these equally important stuff. You see, Emmanuel; a lot have really changed! And change is good. Without it, butterflies will remain as worms and humans would be wriggling sperm cells forever. So you need to get on well with the prophets and Bishops who are appearing on the fat billboards, instead of you and your word. Emma, I feel your jealousy. It’s evident in those threatening messages you circulate on social media. Well, most of us forward them because you are really pissed off and could send down plagues. 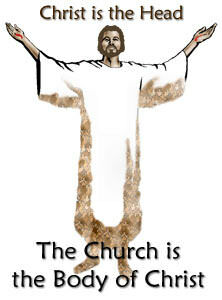 ‘When the Son of Man comes in his glory, and all the angels with him, he will sit on his throne in heavenly glory. All the nations will be gathered before him, and he will separate the people one from another as a shepherd separates the sheep from the goats. ‘He will put the sheep on his right and the goats on his left. Is It Wrong To Listen To Secular Music? Support The Black Stars, Or Shut Up!